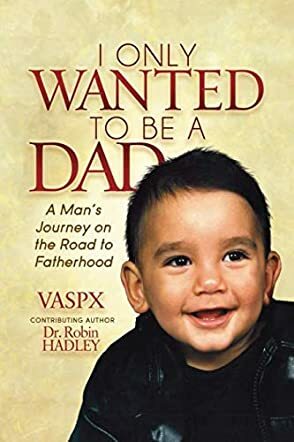 I Only Wanted to Be a Dad by Steve Petrou is a mirror into the head and heart of a man who is having trouble becoming a dad. Although men might disagree, they are very complicated creatures. They keep their emotions to themselves, which makes their partners wonder what's going on their heads. However, breaking the complicated boundaries, Steve opens up in this book about the hardest time of his life. It all started when his wife, Vaso, (whom he lovingly calls Vas) expressed her desire to be a mom. It seems like the easiest task to anybody who hasn't been in the front seat of various medical issues that may/may not occur in the "simple" process of becoming pregnant (or impregnating their partner). Steve was no exception to this thought process. However, the process that seemed to be full of normal and frequent sexual (and thus pleasurable) activity turned out to be their biggest nightmare. Vas was willing to do anything to experience the joy of being a mother; anything literally meant even putting her own life at stake to bring another life into the world. While she was quite vocal about her insecurities, Steve was being a man. He would do anything other than share his insecurities and real feelings with his wife. Although his intentions were noble, they were not helping his wife. The best part about this memoir is the honesty with which the author has expressed every part of that unpleasant time. He could have skipped the parts that showed his "less than ideal" moments, but he kept the book as real as he could. Digging into one's painful past is hard enough as it is without having to jot down every memory of that time, but Steve has done an extraordinary job of reliving every one of those moments. There is an authenticity in his words that is conveyed to readers. When he said that he was terrified of receiving any phone calls, I could almost smell his fear. What he went through was definitely not easy. Infertility in men is not only a taboo in our society, but is also considered a failing in the world of men. Steve not only openly discussed this problem, but also declared that men should not make a big deal out of it. Being infertile does not make anybody any less of a man. He also pointed out that men's locker talk does not end in high school; it continues until the end of a man's life. As harmless as it may seem to the parties mocking somebody else's disease/problem, it just might throw a suffering person into a pit of depression. Being friends means accepting one another wholeheartedly and not mocking behind one another's backs. Although Steve judged himself too harshly throughout the book, in my eyes he is a hero. He loves and respects his wife so much that he keeps his problems to himself until finding a solution. One of the cutest thing that he shared was the fact that he pauses the TV every time Vas goes to another room for anything. This may not seem such a big deal, but he does it even when he is at somebody else's house or when he has guests in his own house. He is a perfect husband. Having read his book, let me assure you that he would not agree with me calling him a "perfect husband," but he truly is. Needless to say, I loved the book because of the author's honest writing about the most traumatic part of his life. Not only men but women would also learn a lot from reading this book.